I’m always after a low point dessert recipes which I can whack out at dinner parties without anyone knowing its ‘diet food’ but I never thought something as luxurious as chocolate mousse would be so low in points. This is a really easy and tasty recipe, looks really impressive and most importantly, is nice and low in points. I served this as part of my three course meal (mentioned below!) and it went down a storm! Break up the chocolate and pop into a bowl over a pan of simmering water. After a minute add the cocoa and vanilla with 2 tbsp cold water and remove the pan from the heat. Let the chocolate melt from the residual heat of the pan and give a stir to help it along. Once melted stir in 2 tbsp boiling water. This will thin down the chocolate and make it nice and silky. Remove the bowl from over the pan and leave it to cool slightly. Meanwhile whisk the eggs whites into soft peaks then add the sugar until glossy. Next beat the yogurt into the cooled chocolate til evenly combined. Then add a third of the egg whites, folding in carefully. Next fold in the rest of the egg whites carefully so it keeps its volume. Pour into small ramekins or dessert bowls and leave to set in the fridge for a couple of hours (or overnight if you are uber organised!). 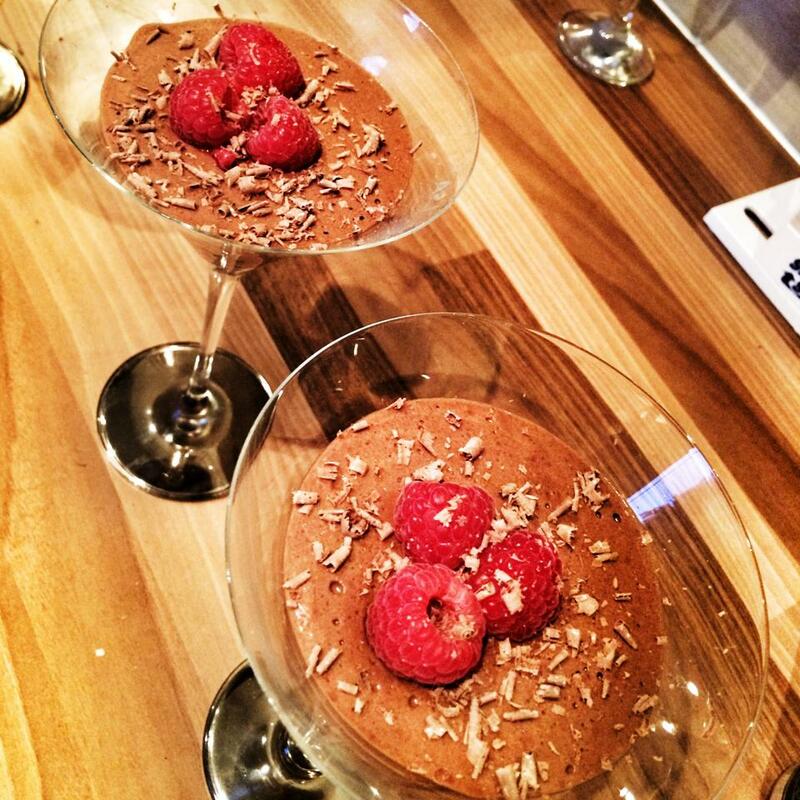 Serve with raspberries on top and a few shavings of chocolate. When do you put the caster sugar in? Aargh sorry just seen it! Fesat that i can enjoy but stick to my points too. Could you share please? Thank you!